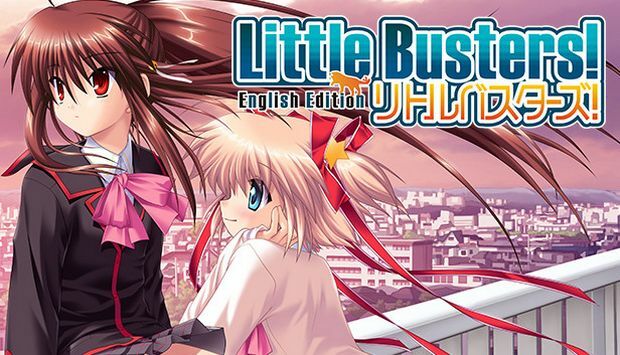 This guide is based on the flow charts available in the perfect visual books for Little Busters! original and EX. These flow charts mainly focus on essential choices, so players are encouraged to explore other options for themselves. To complete the game, you are required to first complete the Rin's first ending, Mio, Komari, Kurugaya, Haruka, Kud to unlock the Rin's second ending and Refrain following that. 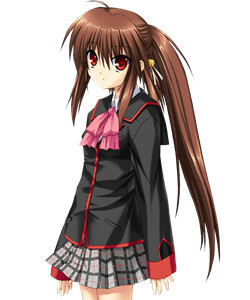 Refrain is the original final route of the game; the EX routes Saya, Sasami and Kanata were added later, and all require Refrain to be completed before they become available. For the best experience, we highly recommend starting the game from the start each time you want to try a new route. You’ll miss out on a lot of content if you just load back to an old save instead of restarting each time! And hey, you might make new progress on those minigames. The guide is presented in our recommended route order, but it's quite flexible if you want to mix it up. For the maximum amount of scenes, you'll want to follow the order of Komari -> Kurugaya -> Haruka -> Kud, and throw Mio and Rin (1) wherever you want. Some guides recommend putting Rin (1) after Komari, but the only thing doing Rin (1) before Komari changes is a scene that would usually feature Kurugaya features Rin instead; it's not a big change. 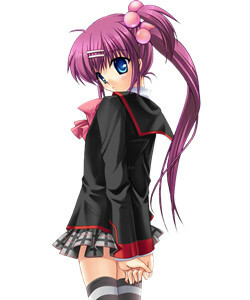 For the most enjoyable experience, we suggest doing Rin (1) first and foremost. There are many people who think Komari should go before Mio, but don't let this guide tell you how to play; make the experience your own! Also read the notes left inside the spoiler boxes. The first time you play her route, you'll be locked on the first (bad) end, you can only unlock her second ending by beating other routes first (see the Suggested Route-Ending order section for more info). NOTE: There are more choices, but they're not unlocked at first. NOTE: Rin's Good End is only available after completing Rin1 and the 5 other pre-Refrain heroine routes. 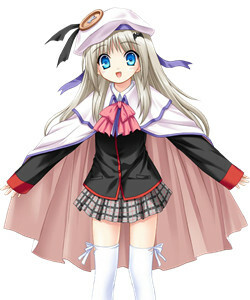 There are extra scenes available if you choose Mio as Kud’s roommate on 18/5. If you're doing Komari route after completing either Rin (1) or Kurugaya, the scene after the final choice will be permanently changed by replacing Kurugaya with Rin. After completing Refrain, an extra scene with Komari on 21/5 becomes available. If you're doing Komari route after completing either Rin1 or Kurugaya, the scene after the final choice will be permanently changed by replacing Kurugaya with Rin. Alternate end is only available after beating the "Refrain" route. On the first playthrough after Refrain, you will automatically get the alternate ending. On subsequent playthroughs, you are able to choose between the two endings. Haruka's second bad ending has a scene that will be permanently unavailable after the first playthrough. To view this scene: you must have completed the Kurugaya route; you must not have completed the Kud route, and Kanata must be chosen as Kud's roommate on the 18th. 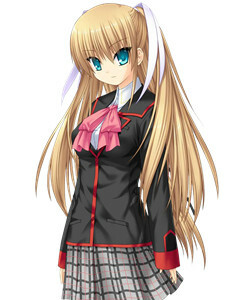 The scene in question is a conversation between Kud and Kanata, so saving there is recommended. Version A: I want to. Version B: I don’t want to. There are a bunch of scenes that depend on who Kud’s roommate is. On 18/5 you can choose Haruka or Mio as the roommate; all other cases will default to Kanata being chosen. This means there are 3 slightly different versions of the route. Some Bad Ends are only available after beating the "Refrain" route. 5/27 Do you mind if I tag along? 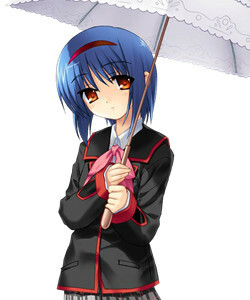 ----- Pick Haruka as Kud’s roommate, then choose to study with Masato. See "Muscle Sensation" under Extras for details. Only unlocked after refrain. Saya’s route involves a lot of unique mechanics most prominent of which is a dungeon crawler. Please refer to the map linked below to help you navigate. The map symbols are as follows. The S is the starting room for the floor. The T marks a trap. The star is the goal that leads to the next floor. 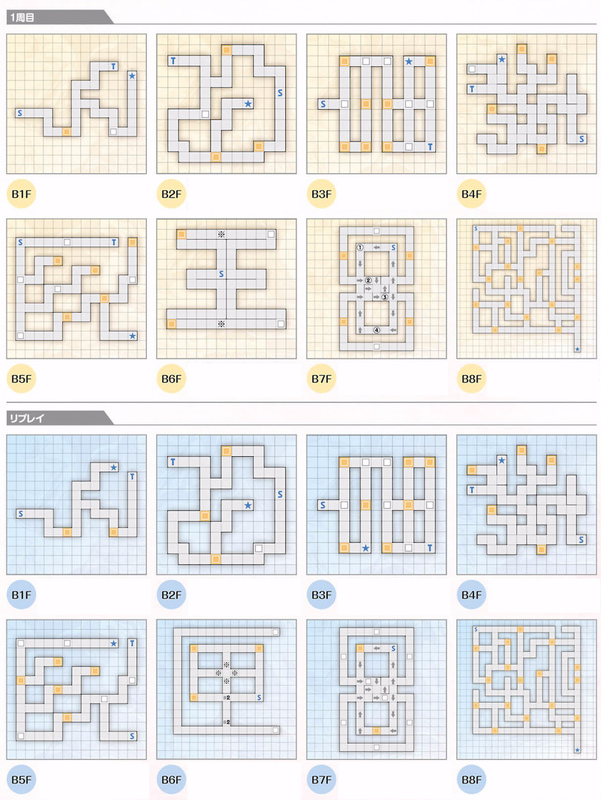 The yellow squares are enemy rooms. White squares are just empty rooms. You can find a dungeon map here. *You need to go through this floor twice, but it's the same both times. After Replay, you need to start a new playthrough. Note that after completing this second part of the route you will be locked out of interacting with Saya, so saving is recommended. 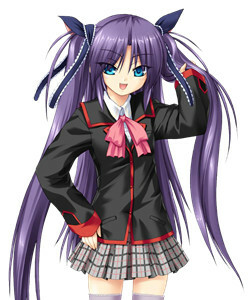 You'll be able to unlock the route after completing Sasami and Kanata. 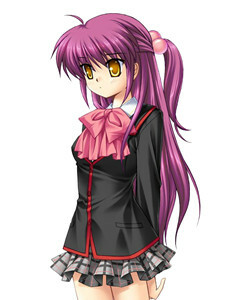 Sasami's route is only fully available after completing Refrain. Kanata's route is only available after completing Refrain. Refrain only unlocks after completing Rin (2). After completing Refrain, a whole bunch of content becomes available. Most notably, all previous heroines routes are unlocked and 3 more are added. 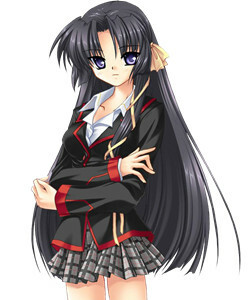 You will frequently find new content by replaying old routes. 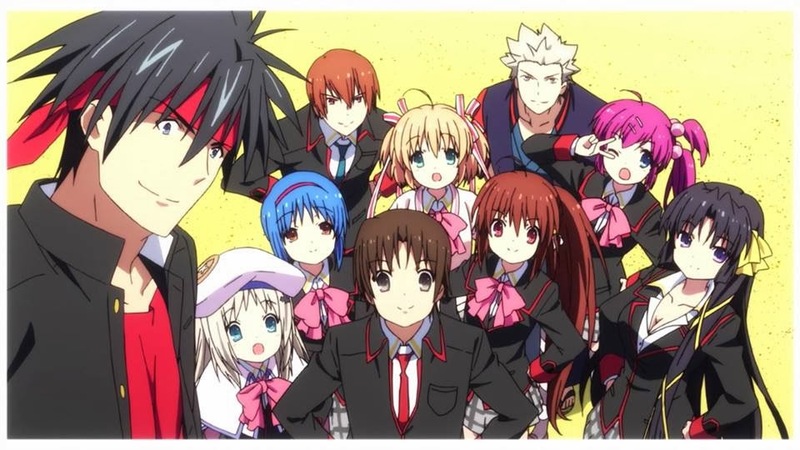 Muscle Sensation is a humorous offshoot from Kud’s route. It can only be read to completion after Refrain. 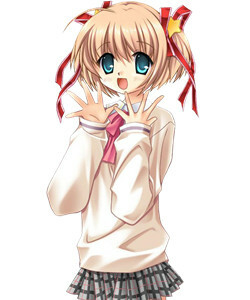 While playing through Kud’s route, pick Mio as Kud’s roommate on the 18th. After that, play with Masato 3 times during common route. Masato is available for playtime on dates 16,18, 19, 21, 22, 23, and 24. This achievement requires you to get 45+ points in the cafeteria minigame on 18/5 during Rin's route. My best tip is to simply pause buffer by right clicking or swiping up. The Idiot Riki/Baka Riki route is a slight variant of Saya’s route that slightly alters Riki’s personality for comedic effect. This gives you an extra CG with the crane game. You also unlock a slew of funny dialogue. If you complete this route and then go into the true Saya route, you’ll get an option to dodge Saya’s kiss. Doing so leads to some really funny scenes but also a bad ending. The choices below must be made in addition to the ones from the normal guide. School Revolution is a secret ending to Saya’s route and, in the steam version, you also get the achievements “The Greatest Feeling Ever...” and “School Revolution.” During Replay, make sure to die 3 times each on floors 1-7. Saya will give different responses to dying, so you can stop when she starts repeating herself. This unlocks Ecstasy Mode which makes you invincible versus normal enemies and allows you to fight Tokikaze(obviously only if you have the mini game enabled). I wish you good shooting. B4F: Your 3 deaths only start counting after Riki saves you from drowning, so you need to die once to the boiling bath then go into the trap room and choose to not believe in Riki. B5F: The 3 deaths only count when you fall down by going barefoot, so follow the normal guide until that option appears. B6F: Open the sarcophagus in the top room 3 times. B7F: First walk in the shape of an 8. After that, fail 4 times. You can do that just by walking down from the starting room. Now you should gain a heart meter below your health. The meter fills up by taking damage. When it’s full you go into ecstasy mode which heals you every time you take damage. The normal enemies can no longer kill you, and you can damage Tokikaze in this mode. Note that he’s still not an easy fight. You need to hit him 16 times to win. B2F: Okay, snakey, come here! 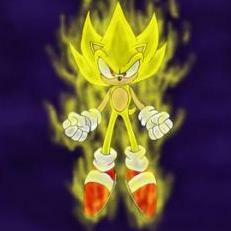 B3F: Come on, bring it !! B6F: Alright, I’m gonna die! Hey, come on trap!! B7F: Alright, lasers come on!